There is no doubt about it: TGIFridays’ bartenders are definitely world class! A living proof is TGIFridays’ newest pride Jholan Peñafiel who was adjudged 2017 Grand Champion at the World Bartending Competition held recently in Dallas, Texas, USA! Penafiel shook things up when she outperformed competitors from the USA, Latin America, the United Kingdom, and Europe. This was a major win for TGIFridays Philippines after Rizza Umlas was declared the first female bartender to win the TGIFridays World Bartender Champion in 2015. Over the years, TGIFridays prides itself with other bartenders who placed at both the regional and world bartending competitions. 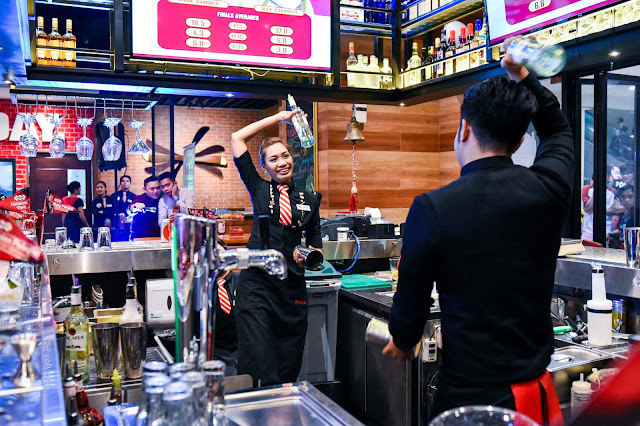 To showcase the reservoir of talents behind the TGIFridays bar, “Flairtending Nights” was launched recently featuring its topnotch bartenders who strut their stuff every Friday and Saturday (7:30 pm and 8:30 pm) at all TGIFridays branches nationwide. 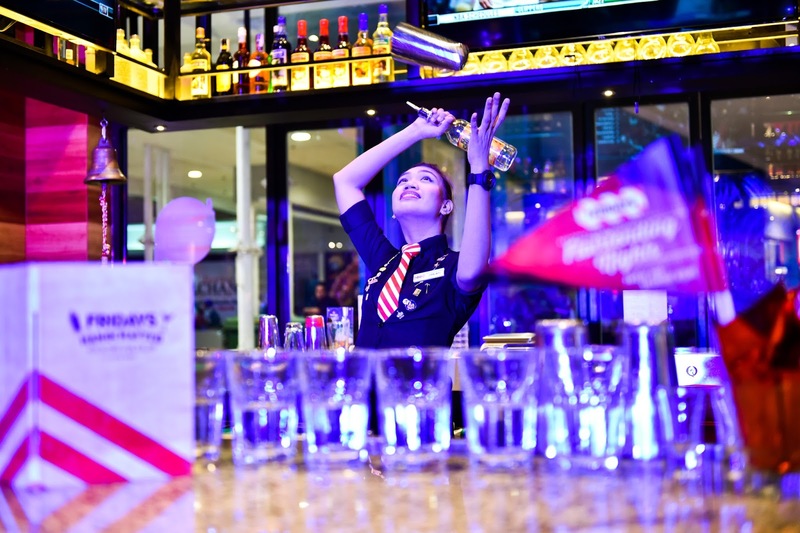 The event, held recently at the newly-refurbished TGIFridays Mall of Asia, featured TGIFridays’ crème de la crème master mixologists who displayed their outstanding bottle-spinning, drink-tossing flair while preparing some of the bar’s most popular drinks. There were group, tandem, and solo performances and a special bartending exhibition by Penafiel. Impressive bar flairtending, a winning personality combined with exceptional technical knowledge of the TGIFridays’ bar elements (including memorizing about a hundred drink recipes), earned for Peñafiel the much- coveted title. She got a perfect score at the Compulsory Round (written and practical exams) and dazzled the judges at the Freestyle Competition, sealing the win for the Philippines! Every weekend, drop by TGIFridays… sit back, relax, eat, sip your favorite cocktails or mocktails and witness your favorite bartenders raising the bar extra high with their breathtaking bottle-spinning and drink-flipping skills during the exciting Flairtending Nights!